home Entertainment Don Lemon and Tim Malone are Officially Engaged! 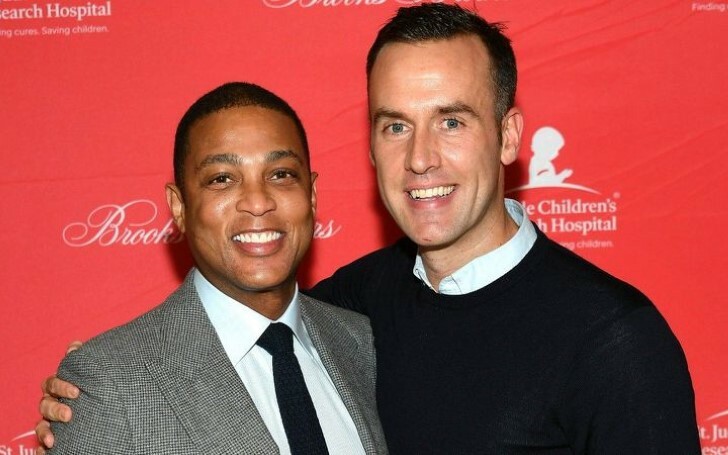 Don Lemon announces his engagement To Tim Malone! On Saturday, Don Lemon officially announced his engagement to boyfriend Tim Malone on social media. The CNN anchor shared a post on Instagram confirming their new relationship status. In the Insta upload, he displayed two dog tags with a message engraved on each, reading: "Daddy will you marry Papa?" Also Read: 'Chrisley Knows Best' Star Savannah Chrisley is Engaged to Nic Kerdiles! "He gave me a present on his birthday,” Lemon wrote in the post’s caption. “How could I say no?" Earlier on Friday, Malone, a real estate agent, shared a photo on Instagram featuring him with Lemon and friends as they celebrated the eve of his birthday. The pair who are enjoying each other's company for more than two years shared a memorable New Year’s kiss in New Orleans on live TV last year. A year earlier, during a New Year’s broadcast from the same New Orleans bar, the CNN host told viewers at home he was resolving to be "less self-centered" and he was "open to a relationship." Lemon later revealed Malone was actually at the same bar celebrating the last moments of 2016. Fans are certainly excited by the new development in their relationship. Congratulations to the newly engaged couple!